directly behind the park office. 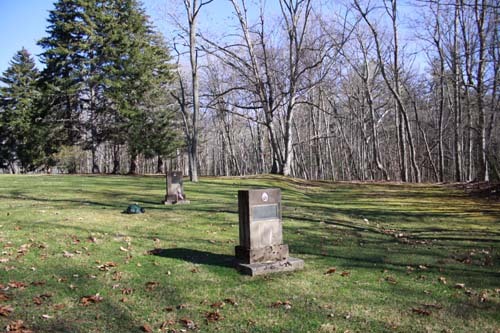 The Battle of Droop Mountain was a Civil War battle occurring on November 6, 1863. Advancing toward a raid into Virginia to disrupt the Virginia & Tennessee Railroad at Salem Virginia, the Union Army came upon a Confederate brigade under Brig. Gen. John Echols at Droop Mountain. The Confederate troops had marched a grueling 27 miles along what is now US—219 in an attempt to stop the Union army. They came head to head on November 6, 1863 in one of the largest engagements in West Virginia during the Civil War. The smaller Confederate army was able to hold the high ground and block the highway so the Union could not advance. However, in the afternoon, the Confederate troops were overrun in an advance. It was a Confederate defeat. Still, Echols stopped the Union troops from taking over the railroad. The fight lasted a day, much of it in hand to hand combat. The number of men who were killed during the battle or succumbed to wounds varies. At least 78 men died —45 Union soldiers and 33 Confederate soldiers. It's haunted, the old battlefield. In fact, a retired logger by the name of Edgar Walton who was returning from work in 1920 along with a friend attested to a ghostly presence there. He stopped within what is now Droop Mountain State Park to camp for the night. 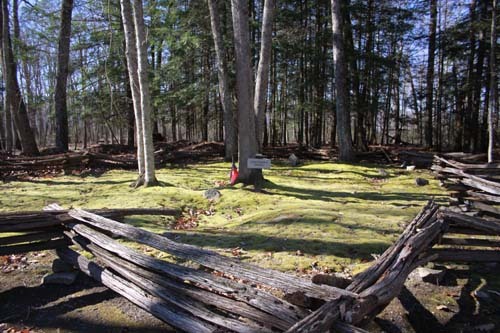 Walton had just prepared a fire near the small cemetery which contains the graves of Confederate soldiers killed during the battle when there was the sound of rustling leaves. The man looked up in surprise, coming face to face with the headless apparition of a Confederate soldier floating past. Over the years, others have reported ghostly reminders of the battle including screams, sounds of a battle, and seeing spirits of soldiers. 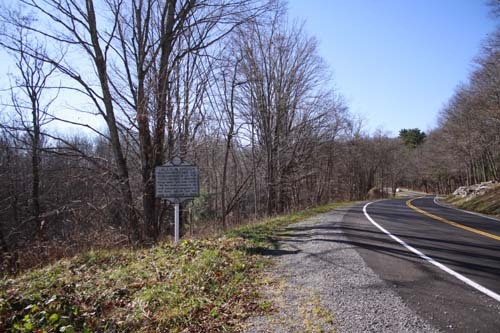 The Droop Mountain Battlefield with markers where soldiers fell. Confederate Cemetery - Droop Mountain Battlefield. The battlefield and the Confederate cemetery are within the state park.